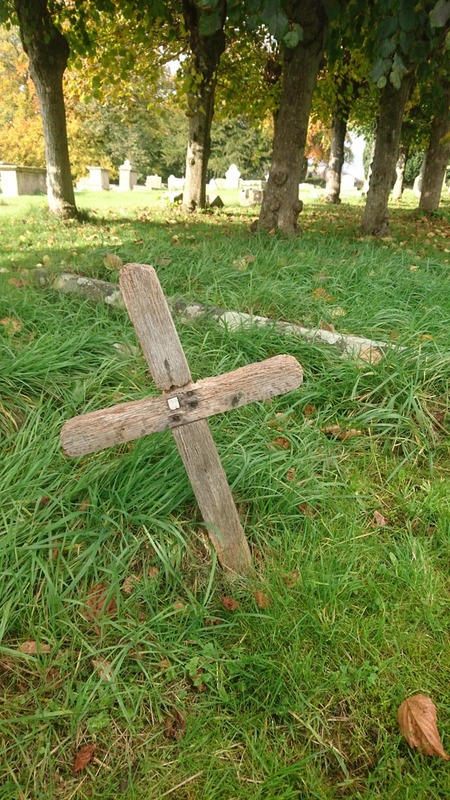 Cross is outside in a poor state, probably a native built original memorial. 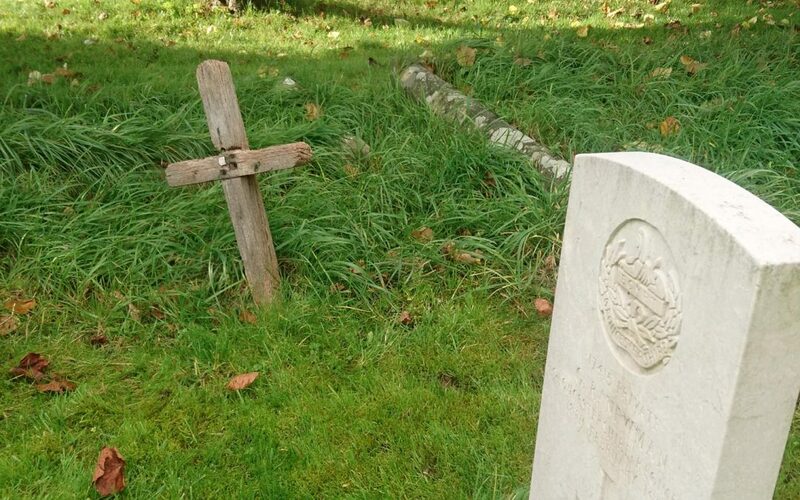 The cross may not relate to teh CWGC grave next to it, but it is entirely possible it may. 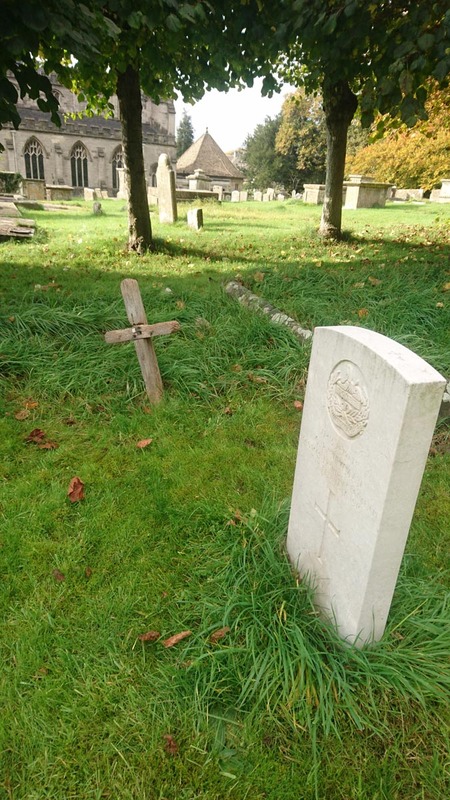 Regiment/Service: Gloucestershire Regiment 10th Bn.